Valentine’s Day can be a tricky one — is your special someone expecting a grand gesture or perhaps just a small show of your big time love? And honestly, it can be tough to find a great Valentine’s Day gift for guys. The poor guys get a lot of pressure to get us gals something, but what about something for them? Well, you’re in luck. 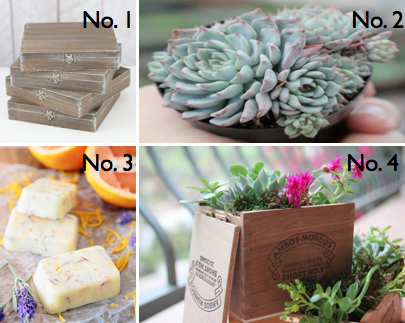 Here are a few easy DIY suggestions and some cute gift alternatives that your guy is sure to love. 1) What guy doesn’t like beer? Whether it’s custom beer mugs, candles, or even this cool take on a lamp, he’s sure to appreciate the sentiment. 2) For the stylish guy in your life, how about a handmade bow ties or some snazzy suspenders? Or if you’re crafty, how about transforming out of date wider ties into the trendier skinny ties? 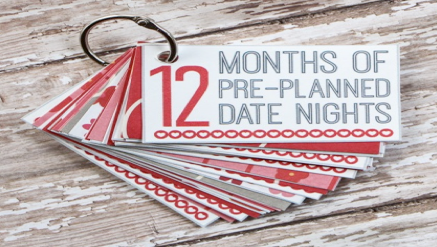 3) If you’re feeling creative and have a little time on your hands, how about a a notebook filled with pre-planned date and adventures so you’ll never be stumped on what to do. I’m going this route with a “Sun, Moon & Stars” themed adventure that I’ll be sure to blog about. 4) And for the last minute gift giver, how about a custom gift box? You could make your own or select from some awesome pre-made options like a tasty root beer float in a box or a pampering grooming kit. 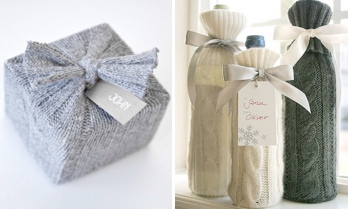 Looking for some clever and cost effective ways to personalize those last minute gifts? Check out these clever ideas that turn everyday items into perfect packages that look like a million bucks! Nifty Knits :: repurpose sweaters or scarves that have seen better days or use sleeves as the perfect cozy wrapping for a bottle of wine. A Cut Above :: Using buttons, ribbon, trim or hand cut stencil toppers can turn your presents into something more personal. Spruce it Up :: Adding fresh foliage such as spruce, pine or cedar combines a festive touch with a wonderfully nostalgic smell. Personalize It :: Instead of traditional name tags, why not use classic black and white pictures or the initials of the lucky gift recipient. Well that’s a wrap for now and on behalf our team, Happy Holidays! This year has been amazing and we’ve been so lucky to have met so many wonderful people and to have experienced such an array of cultural and ceremonial traditions with influences found across the globe. 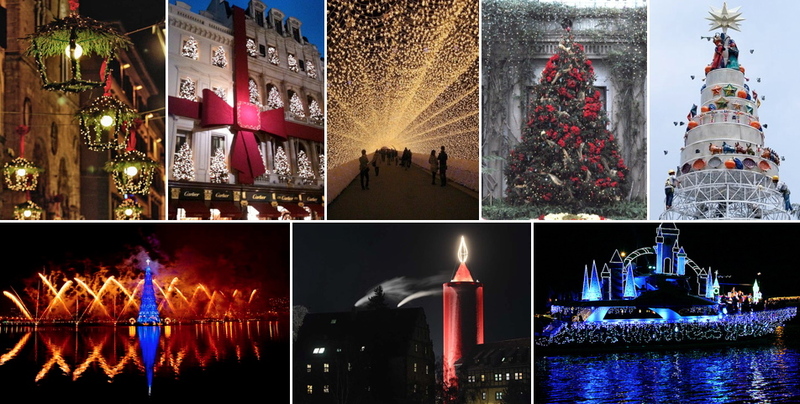 So this week we’d like to take a moment to show how those near and far are decorating for the holiday season. From iconic cities to hidden treasures and even a little something from our own backyard! 1) Just walking through Florence, Italy sounds like a fairytale, so just imagine taking a stroll during the holiday season. 2) Can’t get enough of the classic red bow? In London the Cartier House takes it to another level by wrapping the entire building. 3) In Tokyo, this spectacular holiday display features a light tunnel that goes as far as the eye can see. 4) Beautiful bouquet ornaments adorn this towering Pennsylvania based tree. 5) Check out this whimsical take on traditional ornaments with a tree featuring colorful Peruvian handcrafts. 6) A gorgeous firework spectacular rings in the season in Rio. 7) The world’s largest candle is unveiled every holiday season in Schlitz, Germany. 8) While Southern California may not see much in the way of holiday snow, there is certainly no shortage of lights at the Newport Beach Boat Parade. With the leaves falling, we can admire some of the branches, berries, twigs and vines that might otherwise go unnoticed. Added in their natural form, twisted to your choosing, or cascading down your table, these beautiful pieces can add a relaxed and carefree charm to your Thanksgiving dinner table, mantle or wall. It’s a Wrap: Perhaps you have a few pumpkins lying around from Halloween, or you can snag a few white and green gourds during a last minute grocery run. Wrap and twist a few vines or thin twigs around and voila! Let it Be: Sometimes the best part of using these elements, are their natural curves and bends. Simply place them in a vase and let them shine. Trim the Tree: Who says trimming the tree is only for Christmas? Add festive votive candles or notes of thanks to found branches and create a tree that’s perfect for late November. Twists and Turns: Twist the vines or twigs into a simple wreath or hanging piece. Adding wintery touches such as pinecones and berries can extend the life well beyond Fall. Manzanita Branches: Sturdy and great for hanging candles, cards and more. Pumpkin branch & Ilex berries: Perfect as standalone vase features. Honeysuckle, Smilax & Jasmine Vines: You can twist to your hearts content! Grapevine & Angel Hair Vine: Naturally dried and great for filler or accents. Here’s to branching out this Thanksgiving! The cornucopia is perhaps the most recognized element of the Thanksgiving tablescape. But who says traditions can’t evolve with the times? So, why not reinvent the traditional cornucopia and make it your own? You’d be surprised what a little dab of metallic or frosted white spray paint can do to add a little flair. The cornucopia shape is a basic cone with a curved lip; why not try other cone shaped pieces such as old tin funnels or household items like bowls? Why not do double duty and take a creative and culinary take using pastry dough or waffle cones? 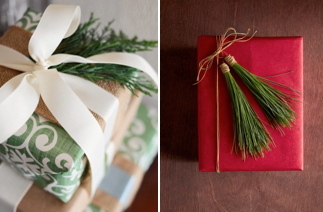 Wrap or embellish your cornucopia in straw, raffia, or natural woven materials such as burlap or linen. Try unexpected hues of red and purple with apples, cranberries, grapes and figs. Create texture and dimension with beautiful blooms such as dahlias and flowering kale. Add delicious scents with holiday spices such as cinnamon, cloves or star anise. And on that note, our LGY team wishes you a happy and healthy November! So perhaps you spotted a few skeletons during you Halloween festivities and let’s hope they were of the costumed variety. But today marks the start of another holiday known for it’s beautifully macabre images and depictions of skulls and skeletons. El Dia De Los Muertos or The Day of the Dead is a two day celebration that begins on November 1st and ends on November 2nd. It involves commemorating loved ones that have passed with exuberant altars full of bright festive colors, intricate preparation of traditional food such as candied skulls, and ingenious decor and body painting involving skeletal figures. Let’s take a look at the three primary aspects of El Dia De Los Muertos festivities. 1) Skulls :: historically kept as trophies and used in religious and cultural rituals, skulls and skeletons inspire everything from festival decor to personal dress. 2) Altars :: made in respect of the dead, these altars showcase an eclectic array of what the person loved. The personal mementos, beautiful blooms and delectable fruit are the perfect inspiration for your next centerpiece. 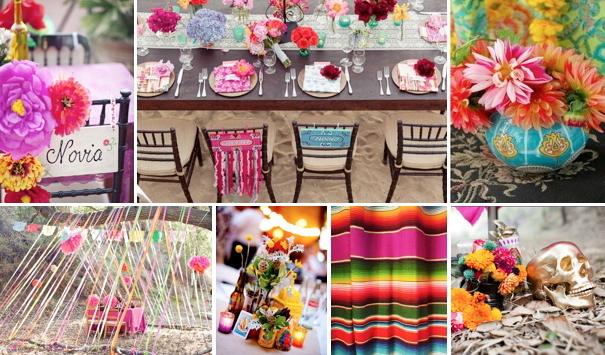 3) Vibrant Color :: from gorgeous flowers to beautiful tissue creations and traditional Mexican decor, the color inspiration is anything but black and white. 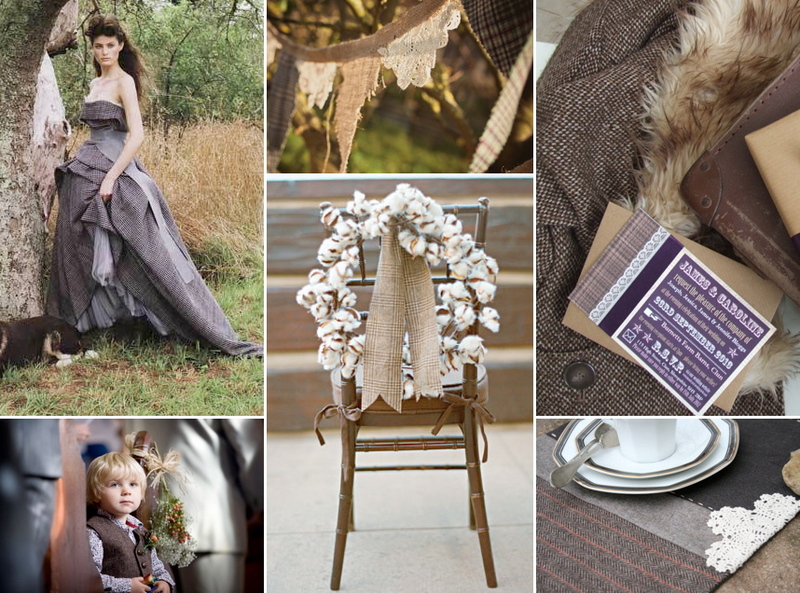 Growing in popularity, the holiday is inspiring stateside parties, Halloween costumes and even weddings! Check out some of these gorgeous event images inspired by the traditions and customs of El Dia De Los Muertos. Beautiful tissue flowers, technicolor blankets, wedding banners, a gilded skeleton and beautiful blooms.